Stouffville McDonald’s owners, Todd and Marca Finlayson, were all smiles at their recent grand re-opening celebration as they received a special congratulatory plaque from Mayor Iain Lovatt and town council. 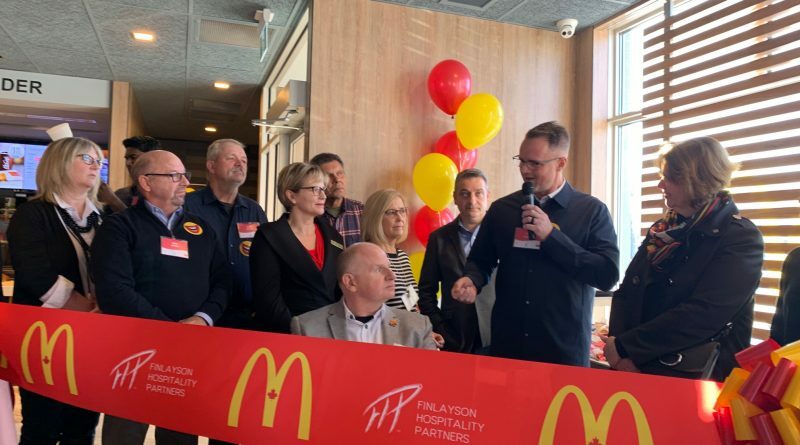 Lovatt expressed his gratitude for the hundred jobs supplied by the duo at their two Stouffville locations and for the many students over the years that received important leadership training from working at McDonald’s for their first jobs. Local families joined the celebrations and enjoyed magic shows, face painting, balloon art and food samples. 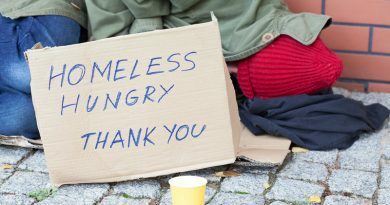 The celebration was marked by a fundraising initiative where one dollar from every Big Mac sold by the restaurant will be donated to the Ronald McDonald Room at Markham-Stouffville Hospital. Franchisees Marcia and Todd Finlayson founded the room in 2013 and have continued to provide annual funding. Over the past two years, the Finlaysons and their local fundraising team have contributed more than $400,000 to the facility that sees more than 14,000 visits annually. 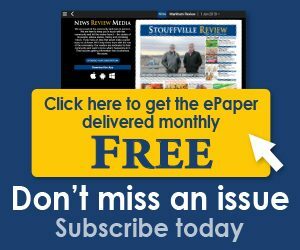 “We are delighted to continue our focus on this wonderful and much-needed facility in Markham-Stouffville and are very grateful for the community participation that makes so much of this fundraising possible,” said Marcia Finlayson. 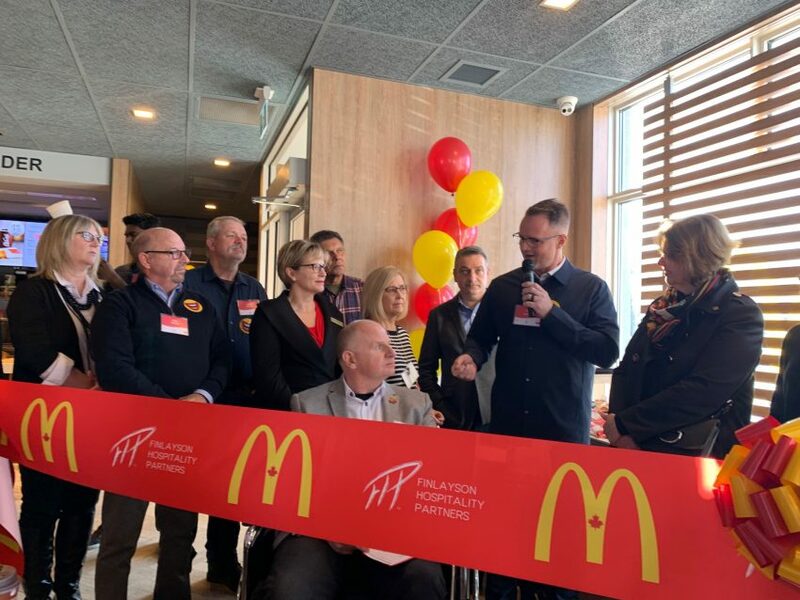 Photo: Mayor Iain Lovatt congratulates Stouffville McDonald’s owners, Todd and Marcia Finlayson, at their recent grand-reopening of their Sandiford location.